Heart disease is termed as Hridya Roga in Ayurveda text. This is mainly believed to manifest due to imbalance and vitiation in the Vata dosha or the air body humor, although heart disease may result from imbalance in either or all of the three doshas Vata, Pitta and Kapha. Vitiation in the Vata dosha or the air body humor causes a disruption in the Rasa dhatu of the body, which further results into production of a heart disease. Although it has been stated that Vata or the air is the primary causative factor in forming a heart disease, yet Ayurveda believes that a heart ailment may indicate imbalance in either or all the three doshas or humors of the body. Any vitiation in the three doshas vata, pitta and kapha (body humors viz. air, fire and phlegm) or distortion of all the humors simultaneously is believed to be result into production of the heart disease. 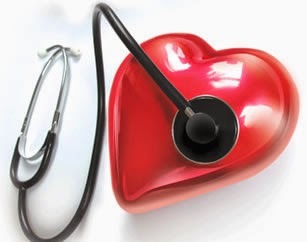 Decreased or no supply of oxygen and nutrient rich blood to the heart muscle by the coronary artery results in the production of diseases like Angina, Myocardial infarction and Coronary artery disease. Perhaps. congenital or acquired diseases of the endocardium, myocardium and pericardium. Yellow coloration caused when the liver is congested by heart failure. Ayurveda treatment proposal for Heart disease include specialized Panchakarma therapies (Virechana and Basti Panchakarma therapies) and Ayurveda therapies (Abhyanga, Shiro dhara and Hrid Basti) which are highly recommended for thorough detoxification and heart health support. Ayurveda herbs which may be regarded as ‘Heart tonics’ help greatly to regulate the blood flow and strengthens the heart. Some natural Ayurveda herbs have been used since times immemorial to provide good care and support to the heart and also to save it from heart disease. These Ayurveda herbs for the heart are actually natural assets that may be essentially inculcated as heart tonics so as to keep heart disease at bay. The Latin name of Arjuna is Terminalia arjuna and this is a huge, widely spread, branched tree with whitish coloured external bark. Bark is the part of the tree that is used for medicinal purposes especially as heart tonic. Arjuna is a holder of many natural properties by the virtue of which the herb provides natural nourishment to the heart. The natural herb of Arjuna essentially strengthens the heart while improving the blood circulation and aiding in stimulation of the vital organ of the body. According to Science of Ayurveda, Arjuna by nature helps in balancing Pitta and Vata doshas or the fire and phlegm body humors. As Arjuna is cold in potency, it tends to mitigate the excess fire in the body system. Also, it is believed that the Ayurveda herb of Arjuna is rough, light and astringent by natural. This trait makes it to subside the aggravated phlegm or the Kapha dosha. Shatavari or Asparagus is a decorative herb that adds to the beauty of gardens. Yet, at the same time, it is gifted with distinguished medicinal properties of being potent, energizing and revitalizing and greatly invigorating. The Latin name of the herb is ‘Asparagus racemosus’ and some of the Sanskrit synonyms denote the characteristics of the herb are Shatvirya i.e. it is cold in potency, Atirasa i.e. it contains juice and Shatmooli i.e. it has a cluster of roots. The herb of Shatavari grows in the form of a creeper with curved thorns similar to the nails of a tiger. The roots of the herb are whitish and in the form of clusters. Rhizome is the part of the herb that is used for medicinal purposes. In accordance with Ayurveda therapeutic science, Asparagus is heavy and slimy by nature and cold in potency. The taste of this herb is a combination of sweet and pungent and the after taste is sweet. Being slimy, sweet and cold, Asparagus tends to cause a decrease in the Vata and Pitta doshas or the air and fire humors of the body. Therefore, the Ayurveda herb of Shatavari is believed to be highly virtuous for the heart. A regular intake of the herb in the form of powder or juice is generally recommended for heart patients. This is because it is believed to overall improve the functioning of the vital organ. Also, according to Ayurveda, in the malady of heart disease, as there is a distortion in the air and fire body humors, the Ayurveda herb of Shatavari has a tendency to cause a reduction in both these body humors. The Latin name of the herb of Dalchini is Cinnamomum zeylanicum, while locally it is better known as ‘dalchini’. Some of the Sanskrit names are ‘twak’ i.e. the bark and ‘uthkat’ i.e. that what is robust. The trees of Cinnamon are evergreen, 20 to 25 feet tall and fragrant. The bark of the tree is yellowish-brown in colour and approx. 5 mm in thickness. The bark, leaves and oil extracted from Cinnamon are generally used for medicinal purposes. Ayurveda believes that the herb of Cinnamon is robust, light and rough by nature and hot in potency. The taste is a combination of sweet, pungent and bitter, while the after taste is bitter. Chemically, there is presence of carbohydrates, fat, protein, moisture, fiber and ash. Other than this, vitamins like Vit A, C, thiamin, niacin and riboflavin; and minerals like sodium, potassium, iron and phosphorous supplement the composition. Ayurveda counsels 1 to 3 grams of powder of the herb of Dalchini for heart disease. This is because Dalchini is stimulating and nourishing for the heart and endows the heart with natural strength and vigour. Ayurveda considers Lahsuna or Garlic to be a natural stimulant and a rejuvenator. The natural properties of this particular Ayurveda herb makes it to be another valuable heart tonic. By nature, Lahsuna is hot in action, slimy and heavy and provides a bitter aftertaste. Also, it has been stated that the herb of garlic is naturally carminative, a good diuretic and has a distinctive property of renewing the damaged body tissues. Ayurveda recommends the use of Garlic in heart ailments and also to strengthen the heart. This is because of the basic property of the herb of Lahsuna to be a natural stimulant. Although there are a number of classical Ayurveda medications available that are fortified with this herb, you could easily swallow the juice of two to three fresh bulbs of Lahsuna daily on an empty stomach. 7 Sure Shot Yoga Tips for Heart Disease and Prevention!